Job Goal: The elementary school assistant principal assists the building principal in carrying out the many routine phases of administration. The assistant principal is responsible for the school during the absence of the principal. Responsibilities: The elementary assistant principal is directly responsible to the building principal for performing the specific duties set forth below. These duties are subject to such changes as may be deemed by the principal. •	Performs routine office and clerical work as delegated by the principal. •	Aids in the orientation of new teachers. •	Is responsible for all instructional materials, such as textbooks and supplies. and practices to pupils, parents and teachers. •	Represents the school in community functions in place of the principal. scholarship drives and public performances. •	Performs all other duties as delegated by the principal. 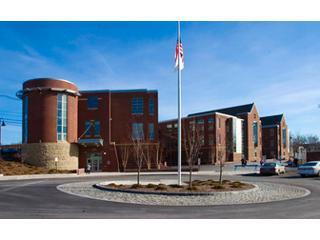 •	Massachusetts Principal/Assistant Principal Certification covering Grades K-8. NOTE: Applications are only accepted online through School Spring. Resumes that are emailed or mailed will not be considered. Welcome to Albert F. Argenziano School At Lincoln Park! The elementary school assistant principal assists the building principal in carrying out the many routine phases of administration. The assistant principal is responsible for the school during the absence of the principal. The elementary assistant principal is directly responsible to the building principal for performing the specific duties set forth below. These duties are subject to such changes as may be deemed by the principal. 12. Performs all other duties as delegated by the principal.